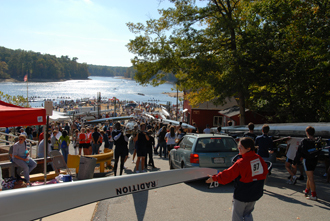 The 2011 Head of the Occoquan (HOTO) will take place November 5 and 6 at Sandy Run Park, VA. HOTO has become one of the largest regattas in the US. This two day regatta will feature Collegiate events and all singles on Saturday, November 5, and Club and Junior events on Sunday, November 6. Be sure to register early since registration will close when the number of registrants reaches the limitations imposed by the Northern Virginia Park Authority. For further information about the regatta visit the Occoquan Boat Club website.